In the center of our liturgical life, in the very center of that time which we measure as year, we find the feast of Christ’s Resurrection. What is Resurrection? Resurrection is the appearance in this world, completely dominated by time and therefore by death, of a life that will have no end. The one who rose again from the dead does not die anymore. In this world of ours, not somewhere else, not in a world that we do not know at all, but in our world, there appeared one morning Someone who is beyond death and yet in our time. This meaning of Christ’s Resurrection, this great joy, is the central theme of Christianity and it has been preserved in its purity by the Orthodox Church. There is much truth expressed by those who say that the real central theme of Orthodoxy, the center of all its experience, the frame of reference of everything else, is the Resurrection of Christ. The center, the day, that gives meaning to all days and therefore to all time, is that yearly commemoration of Christ’s Resurrection at Easter. This is always the end and the beginning. We are always living after Easter, and we are always going toward Easter. Easter is the earliest Christian feast. The whole tone and meaning of the liturgical life of the Church is contained in Easter, together with the subsequent fifty-day period, which culminates in the feast of the Pentecost, the coming down of Holy Spirit upon the Apostles. This unique Easter celebration is reflected every week in the Christian Sunday, which we call in Russian "Voskresenie" (Resurrection Day). If only you would take some time to read the texts of Sunday Matins you would realize, though it may seem strange to you, that every Sunday we have a little Easter. I say "Little Easter," but it is really "Great Easter." 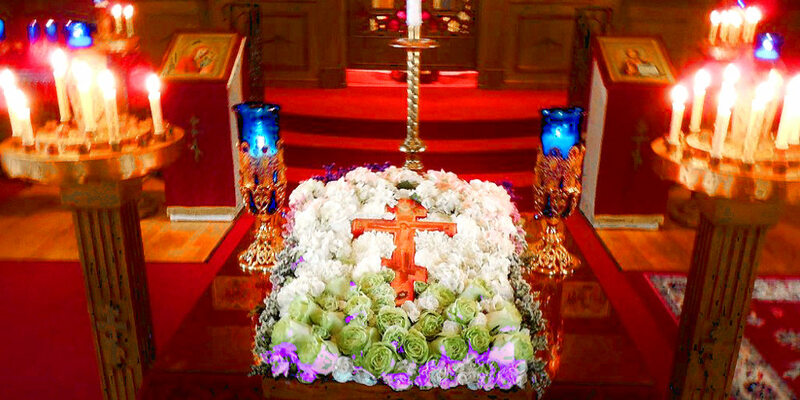 Every week the Church comes to the same central experience: "Having seen Thy Resurrection..." Every Saturday night when the priest carries the Gospel from the altar to the center of the church, after he has read the Gospel of the Resurrection, the same fundamental fact of our Christian faith is proclaimed: Christ is risen! St. Paul says: "If Christ is not risen, then your faith is in vain." There is nothing else to believe. This is the real center, and it is only in reference to Easter as the end of all natural time and the beginning of the new time in which we as Christians have to live that we can understand the whole liturgical year. If you open a calendar, you will find all our Sundays are called Sundays after Pentecost, and Pentecost itself is fifty days after Easter. Pentecost is the fulfillment of Easter. Christ ascended into heaven and sent down His Holy Spirit. When He sent down His Holy Spirit into the world, a new society was instituted, a body of people, whose life, though it remained of this world and was shared in its life, took on a new meaning. This new meaning comes directly from Christ’s Resurrection. We are no longer people who are living in time as in a meaningless process, which makes us first old and then ends in our disappearance. We are given not only a new meaning in life, but even death itself has acquired a new significance. In the Troparion at Easter we say, "He trampled down death by death." We do not say that He trampled down death by the Resurrection, but by death. A Christian still faces death as a decomposition of the body, as an end; yet in Christ, in the Church, because of Easter, because of Pentecost, death is no longer just the end but it is the beginning also. It is not something meaningless which therefore gives a meaningless taste to all of life. Death means entering into the Easter of the Lord. This is the basic tone, the basic melody of the liturgical year of the Christian Church. Christianity is, first of all, the proclamation in this world of Christ’s Resurrection. 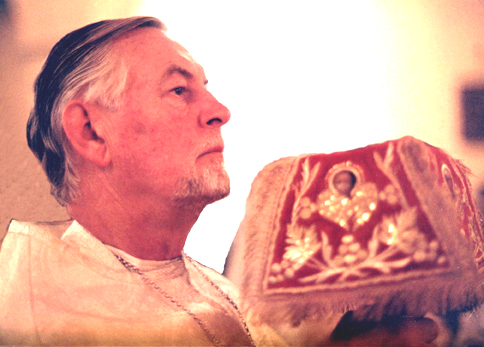 Orthodox spirituality is paschal in its inner content, and the real content of the Church life is joy. We speak of feasts; the feast is the expression of joyfulness of Christianity. The only real thing, especially in the child’s world, which the child accepts easily, is precisely joy. We have made our Christianity so adult, so serious, so sad, so solemn that we have almost emptied it of that joy. Yet Christ Himself said, "Unless you become like children, you will not enter the Kingdom of God." To become as a child in Christ’s terms means to be capable of that spiritual joy of which an adult is almost completely incapable. To enter into that communion with things, with nature, with other people without suspicion of fear or frustration. We often use the term "grace." But what is grace? Charisma in Greek means not only grace but also joy. "And I will give you the joy that no one will take away from you..." If I stress this point so much, it is because I am sure that, if we have a message to our own people, it is that message of Easter joy which finds its climax on Easter night. When we stand at the door of the church and the priest has said, "Christ Is Risen!" then the night becomes in the terms of St. Gregory of Nyssa, "lighter than the day." This is the secret strength, the real root of Christian experience. Only within the framework of this joy can we understand everything else.